The Northern Flicker ( Colaptes auratus ) is a type of woodpecker. You wouldn't expect to see a woodpecker on the ground, but the Northern Flicker spends a lot of time there digging for ants and beetles with their slightly curved bill. 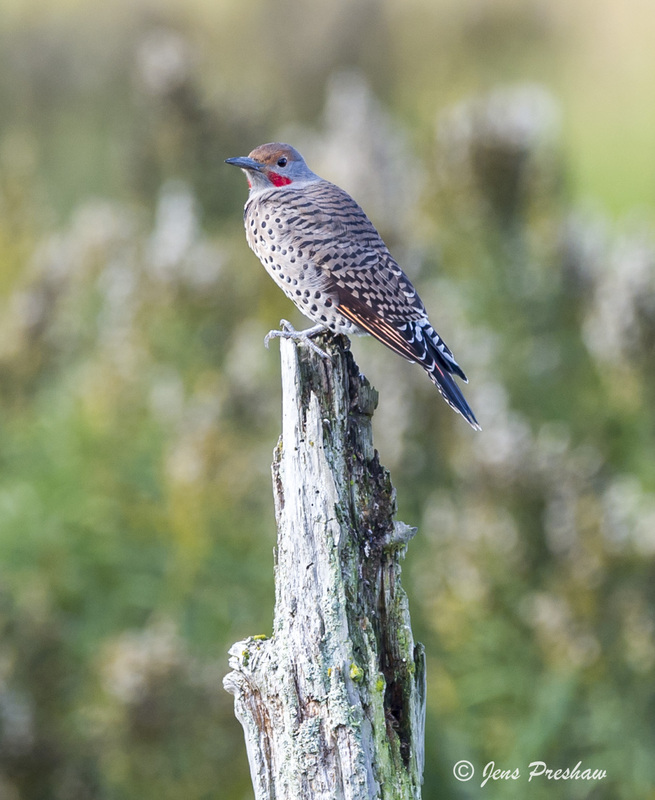 In eastern North America the Flickers flight-feather shafts are lemon yellow and in the west they are rosy red. The Northern Flicker has beautiful plumage and this particular bird with the red moustache stripe is a male.